Discussion in 'Acoustic Instruments' started by Steve L, Sep 5, 2008. Last week I played a Taylor GS Twelve string. Rosewood. How does that compare to the GA body--tonewise, etc.? Any comments in general regarding the Taylor 12's? I think they have a solid reputation from what I recall. Also, I played a Goodall 12 but I thought the neck was a bit wide for my taste. Is that common for Goodall 12's? The sound was sweet, though! I've owned a couple of Taylor 12's. A 355-12 and a 655-12. Both were extremely nice guitars.....and recorded extremely well. Playability is as good as the Taylor 6 strings. I now have a Larrivee L-03MT-12 (hog top) that I'll never get rid of. I love the feel, the tone, and the playability. 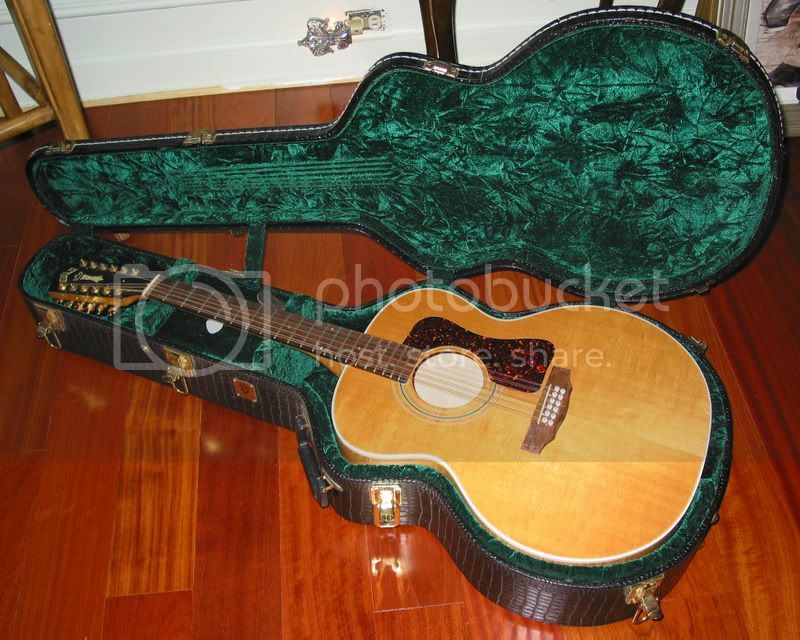 My duo partner has a Taylor 855-12 and he loves his. Since you're near Chicago....check out Tobias Music. And...if you are going to order online.....you'll be HARD pressed to beat the pricing or service of Jim at Guitar Rodeo. There are alot of great 12 string acoustics out there. I thought I'd never play anything else but a Taylor until I got a Larrivee. Good luck Steve......let us know what you wind up with. 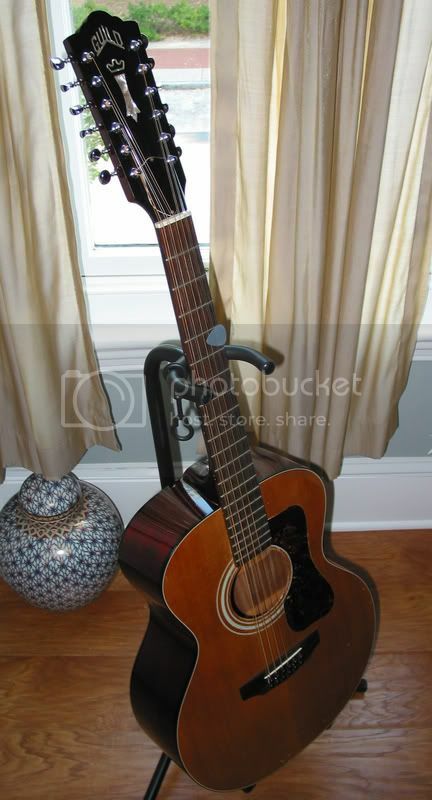 OK....so I didn't get the Taylor GS I had seen. BUT....now I've decided I've gotta shop a bit more. I'll look at the Larivee's, too--hadn't thought of that. And I also recall that I once played a Breedlove Ebony 12 that sounded great. Breedlove makes some excellent guitars. I love their 6 strings....I've owned one (SC-20MY).....and my partner has had two (Ed Gerhard Signature, Focus GC). He still has the Focus GC. Check out MacNichol for Breedlove. 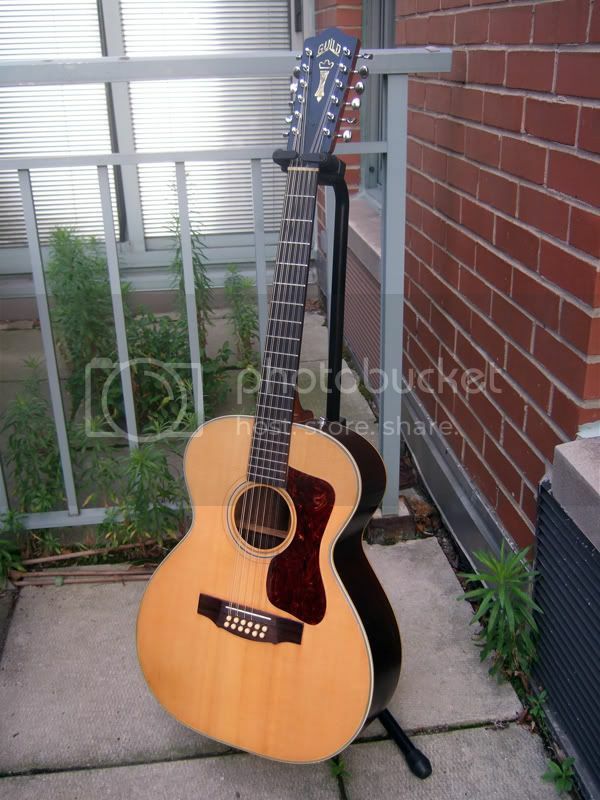 I have a Guild F512 solid RW with solid Sitka Spruce top. Excellent 12 string and built to last. I wouldn't hesitate to suggest this to anyone looking at 12 strings. Tone wise it projects as well as any I've heard. Action and neck, well, you need big strong hands to play it. It stays in tune well. I had a chance to play a used (just traded in) Breedlove 12 string made of walnut and I think spruce top. Easiest action on a 12 string I ever tried. Sounded excellent. I'd have been happy with that but I feel no need to trade in my Guild. All of the Guild 12 models from the 70s and 80s are quite extraordinary in both tone & build quality, the F series (F112, F212, F412 & F512) are particularly fine. While all sound great, I think the 212 may be favorite, with the smaller 112 next. These have all been going up, but they remain a great deal due to their durability & tone That said, the Yamaha FG460s 12s from the 80s are amazing for the bucks. Own one for 20 yrs now, have played several, and they hold their own tonally w/ others that cost several times more. I try high end 12s every time I'm in a store & have time & I've not yet been tempted to abandon my ol' yamaha--for some stuff, especially open tuning solo material, I actually prefer it to my F412. The 460s can still be found for about $300 or so on the used market, the only problem is that they seem to be fairly rare, but worth waiting for since they are such a deal. Best to you in yr search! 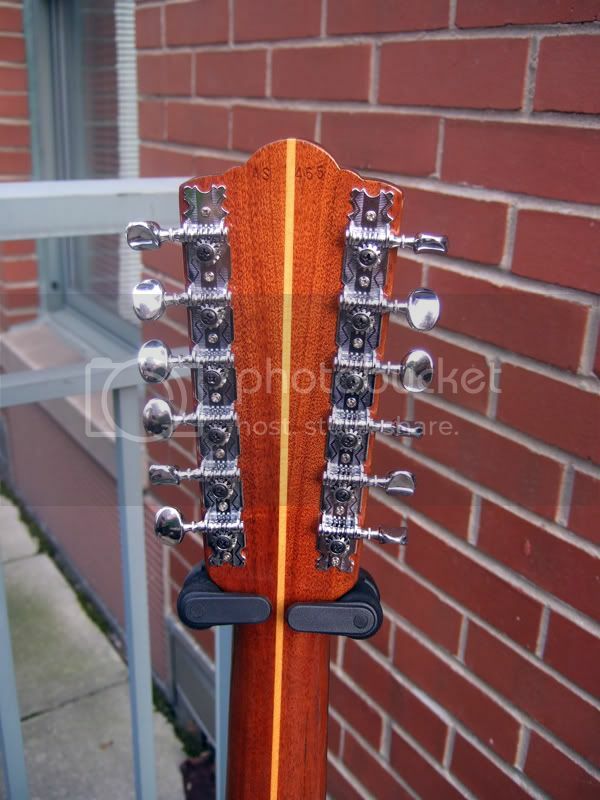 be damn sure when you're looking at used 12 strings that the neck is not underset from the body (true of all acoustics, but especially of older 12 strings), and if you don't know what that means, bring a friend who does and can spot it before buying. The Taylor 12's I've played were nice and shimmering. I have a Guild JF-30 12 from 1995 or so. Like the F512 that was mentioned, it's like having a pipe organ in your hands. These can be had at reasonable prices compared to the F412 and F512 and I think they're a great deal at $800-$1100 used. I didn't dare suggest a Guild being sort of the total contrast to the Taylor, but since I'm not the first I throw in yet another vote for one. Peronally I'm in favour for the Dreadnought variants built in the '70 -80s since I'm not into that over jangly thing the jumbos put out. You can easilly get a used D212, D25-12 or D4-12 for half that the JF30-12 would cost you in the example above. E.g. Tom Petty is known for using a D212, similar to mine. Westerly era Guild 12's kill! That said, take your time & find one that is right for you. Larrivee, Breedlove, Taylor... try as many as you can. Actually, the more I read here, the more I realize just how much there is to explore! Body styles, woods, etc. 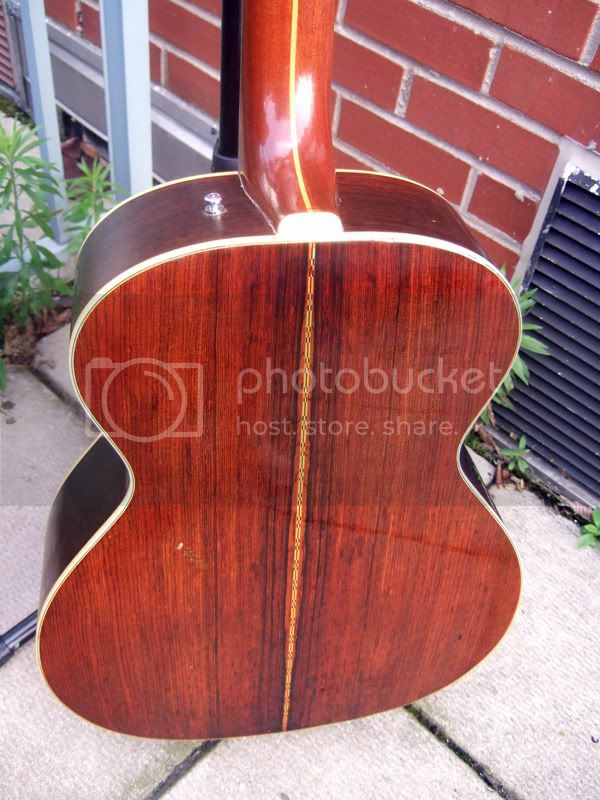 As a note, I saw one that looks cool--a Taylor all Koa model (back, sides, and top). Just wondering how Koa sounds as a top for a 12 string compared to Sitka. A quick listen to some later recordings of John Denver will reveal that for you. A good recommendation would be a Larrivee 12 String , great sound and the neck feels incredible.Goodalls are a bit larger neck wise but the tone and sound are impeccable and awesome. I love my 1969 Guild F312. Brazilian Rosewood Mini-Jumbo. Yum. 12 string guitars are a different animal then their counterpart 6 string. This should be kept clear in your pursuit. The higher string tension VS the design AND construction are also important if long term ownership is involved. The bridge on a 12s have been known to lift, pull up, etc. The sound board is under intense pressure as well. Action is a huge issue and if adjusting the trussrod to lower the action causes all kinds of string buzz, the instrument is not much more than a boat anchor. I've owned 5 over the years, all higher end and recently found an older Alvarez that I just love. It blew away my last Takamine and tonally is better than the Martin. (Yes, go ahead, flame me). The Alvarez wins in every way and since it has already aged, the likelyhood of it physically changing is very low if not kept in a dry area. That said, the Guild 12 is a benchmark to gauge all other 12s against but not all of the same builders instruments are the same, even model by model, year by year, etc. Tone for YOUR EARS is the final factor. Some say a good 12s will still be heard in a full bluegrass band with some natural volume leftover. If it sounds like an orchestra acoustically (with fresh strings) and it fits YOU, then you know you found the right one. Also listen for the "piano like quality". Feel it and hear it before you see what the brand name is. Unless you play a 12s live and often, the electronics are not the top order of the day. That said, mic'ing a 12 string live is not fun. DI is a must for live. Still, the natural acoustic quality must be there in the first place for it to translate. That said, mic'ing a 12 string live is not fun. DI is a must for live. I agree with *most* everything you stated.......except this. This is simply not true. It's not fun, granted.......but a DI is NOT a must...far from it. We have had stunning results live with an AKG C3000 (for each instrument) and a good mic preamp. Mic placement is PARAMOUNT. Steve, I came across something this weekend that you may want to take a look at. The guitar is a Breedlove Focus 12 String. There is one that is used at Notable Guitars that is being sold for the STOOPID price of $1,499.00USD (and I'll bet Jason will even work on that price if you ask). 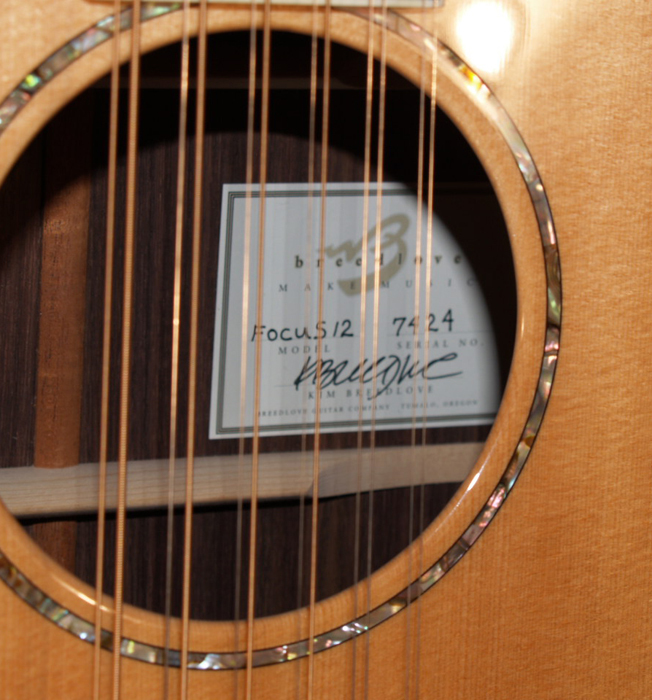 The Focus 12 at Notable is NOT the cutaway version. It is also in their "Performance" series...and is made in Tumolo, OR, USA. The guitar looks to be in immaculate condition. Scroll down on the linked Notable Guitars page about 3/4 of the way and look at the pics. These "normally" sell in the $2,300.00-2,500.00 range USED. The list is slightly over $4,000.00, and NEW they sell for around $3,100.00USD. Good luck. Breedlove makes great guitars. If you contact Jason, tell him Scott from Oklahoma sent you. I have NO financial interest in this guitar. 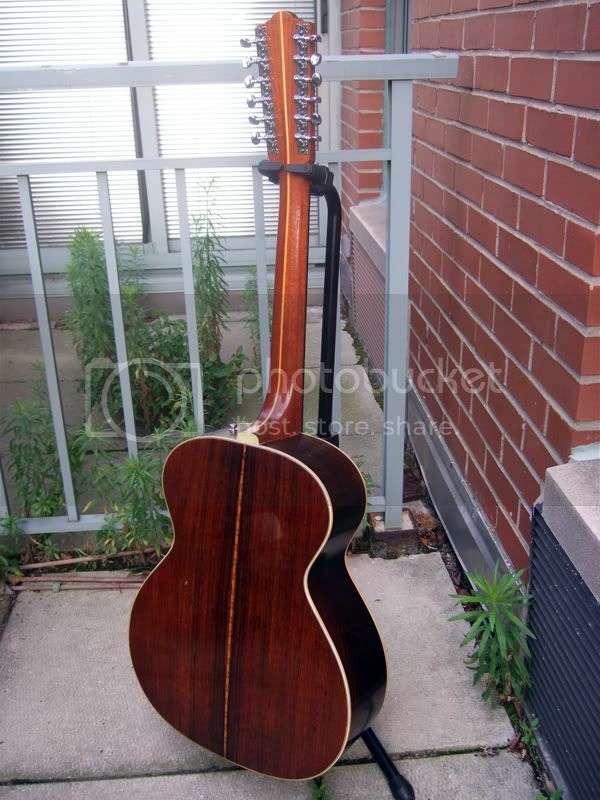 Actually, I am a long time Breedlove owner--two from the early 90's! I shoulda and coulda jumped on the Ebony Jumbo 12 years ago, but wasn't interested in 12 strings at the time. Now they're very expensive and require a bit more thought and justification. I still have to "go out" and try a few more different brands and models as suggested in this thread. Oh oh....looks like there's a mistake somewhere.....either the website or the label.